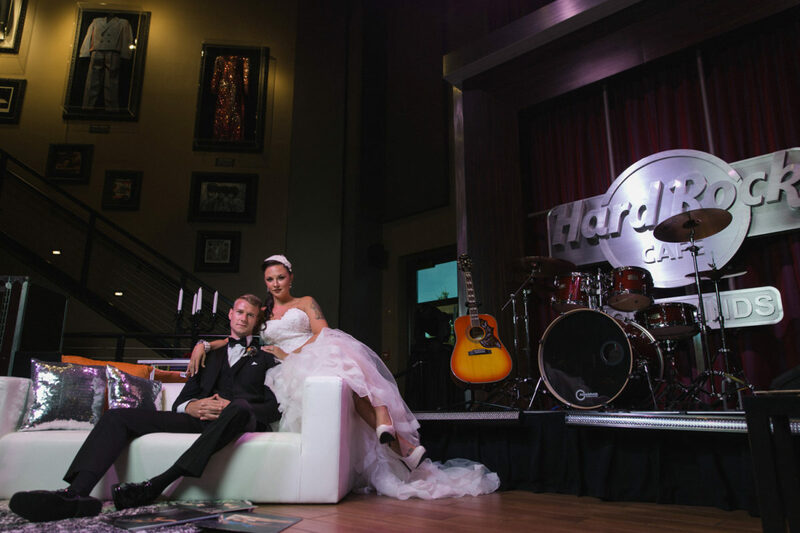 Something is always happening at the Hard Rock Cafe and this time it was a rock ‘n’ roll inspired wedding shoot. 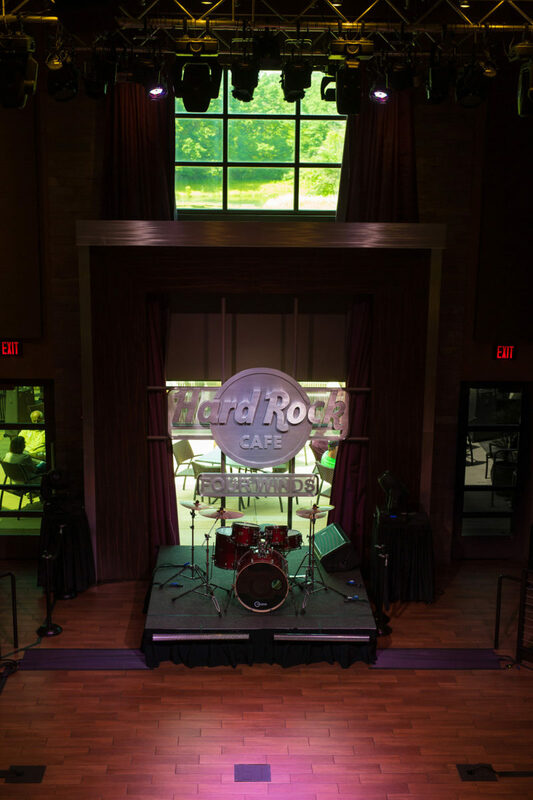 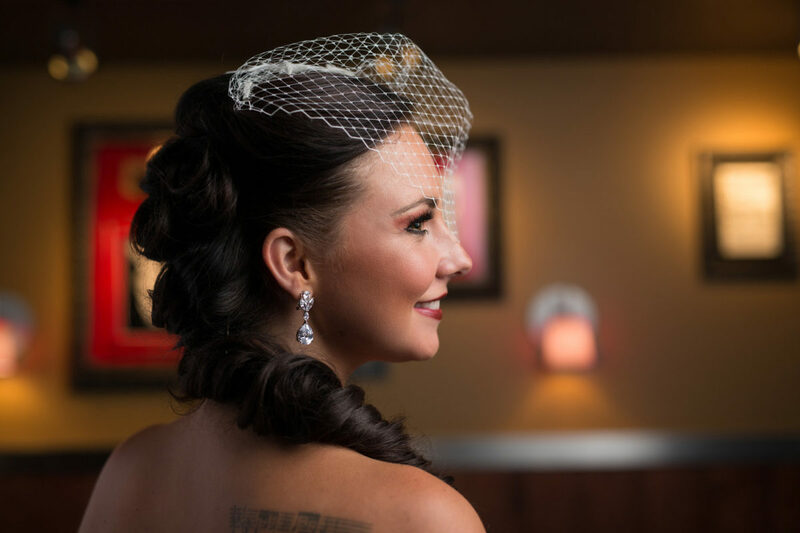 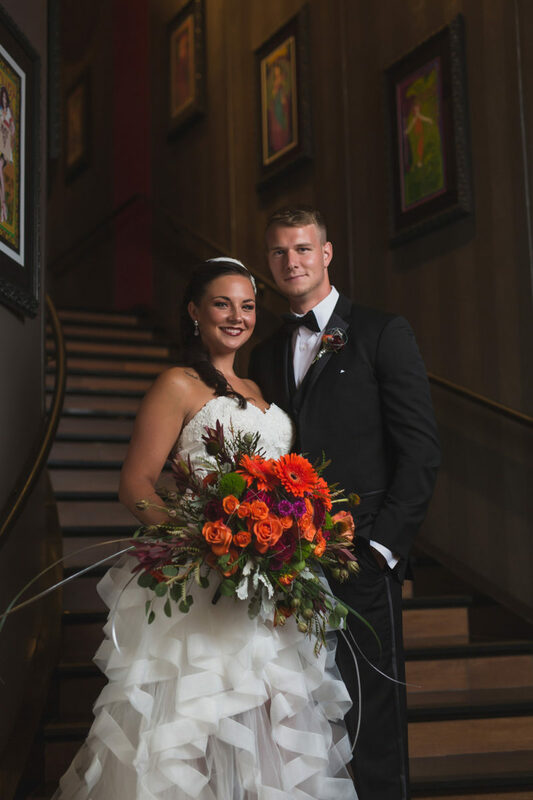 The Hard Rock Cafe at Four Winds New Buffalo is the perfect spot to rock out your wedding rehearsal or reception. 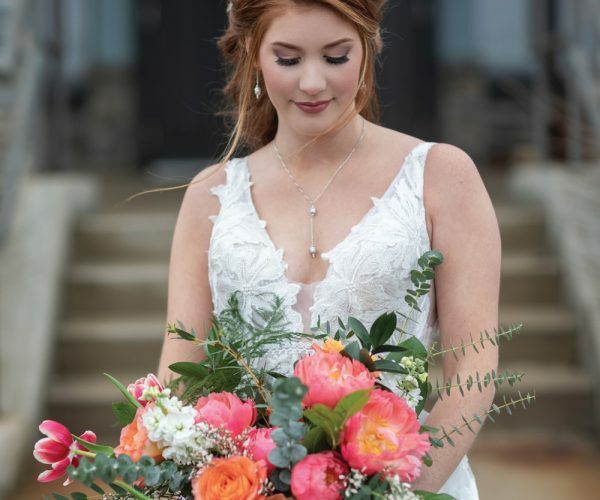 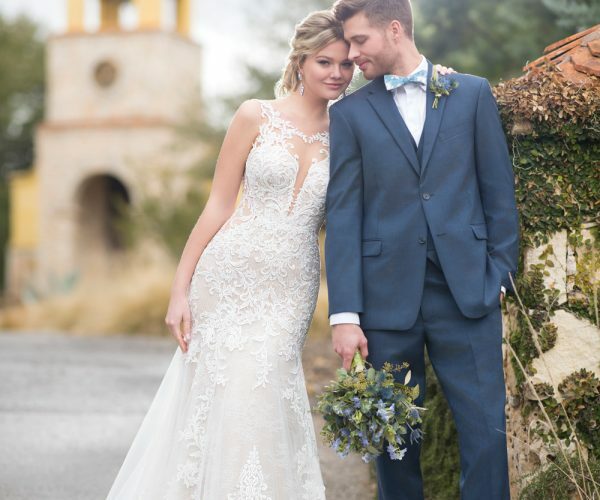 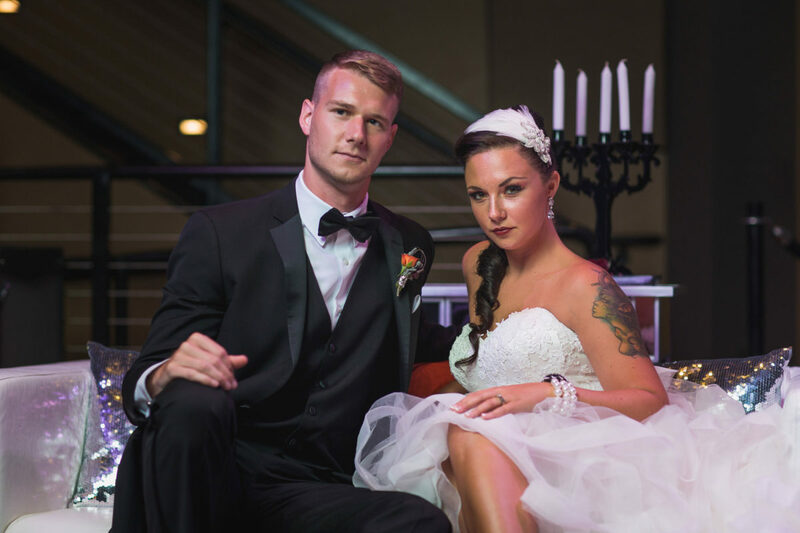 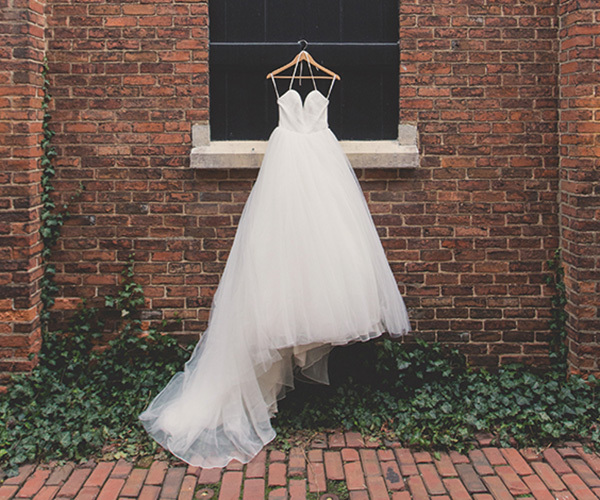 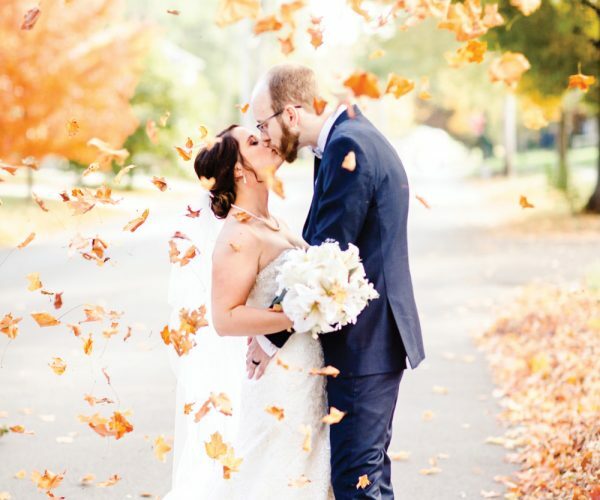 We wanted an edgy, but feminine gown for this shoot, and Blushing Bride on 17 delivered! 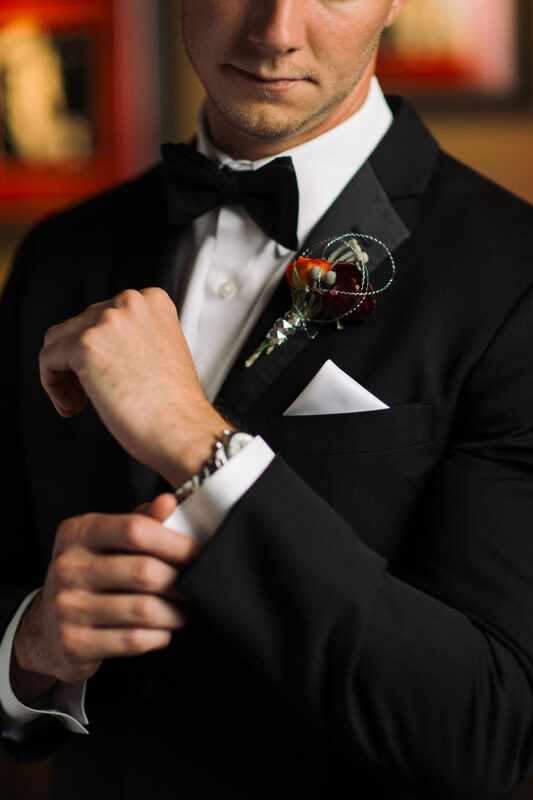 It was the perfect mix of elegance and edge. 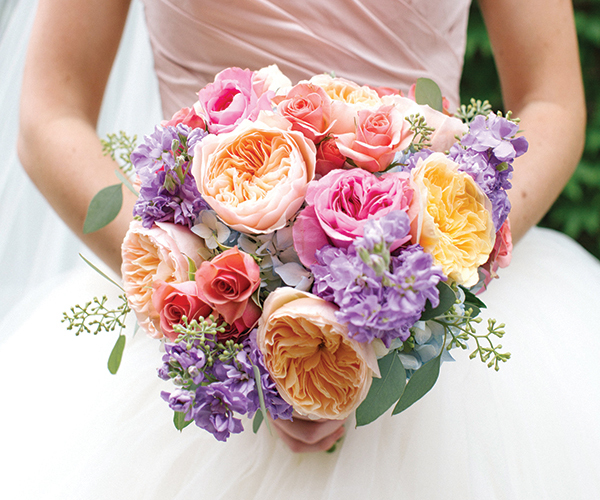 The crescent shaped bouquet created by Merry Me Events was absolutely breathtaking. 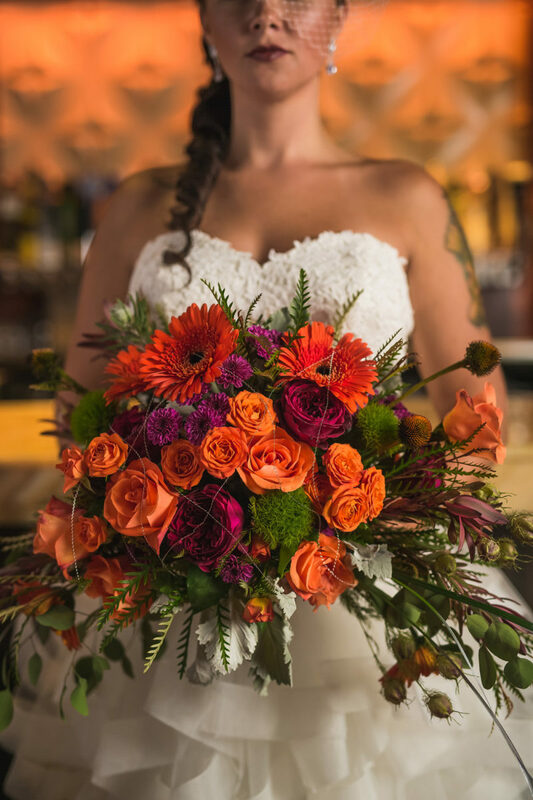 The pops of orange and pink, mixed with the greenery and topped with a shimmery garland made such a statement! 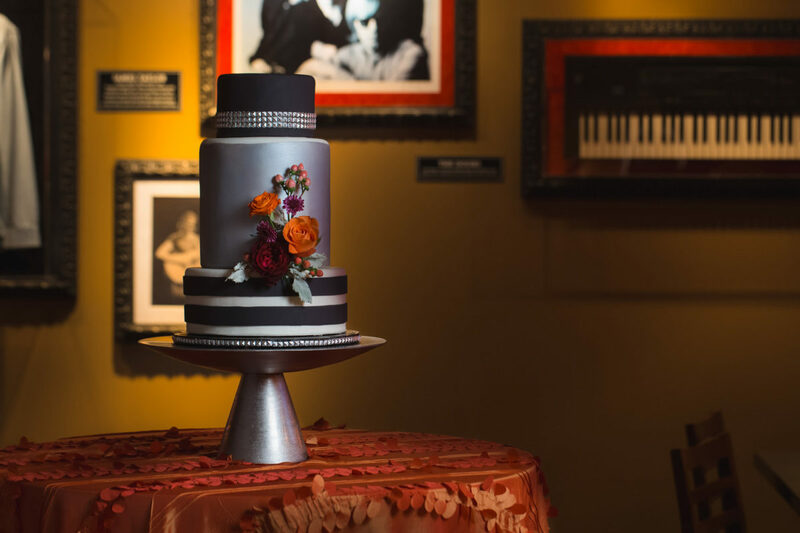 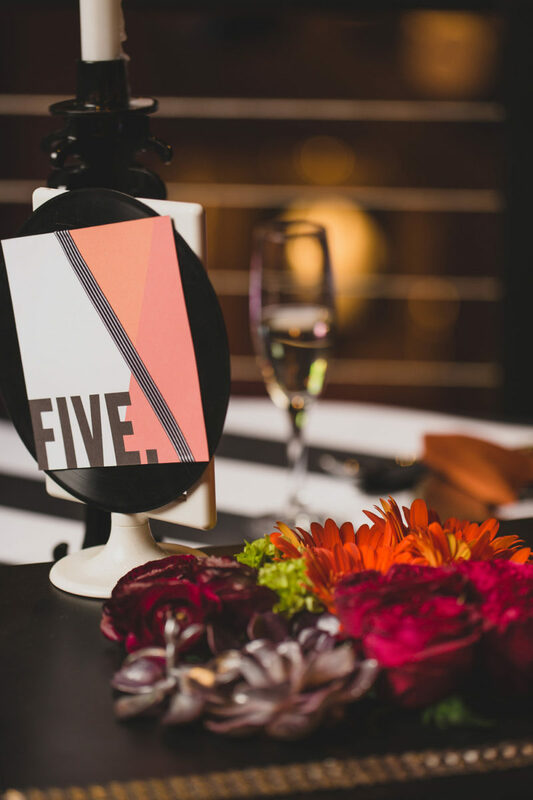 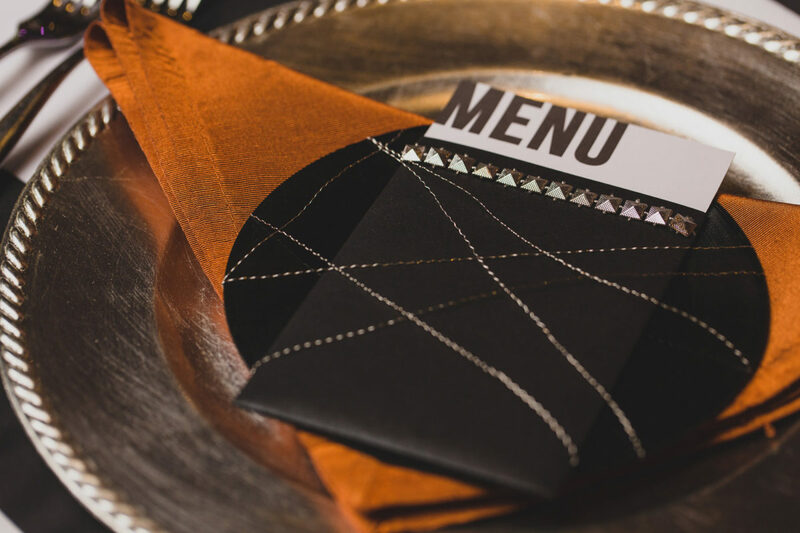 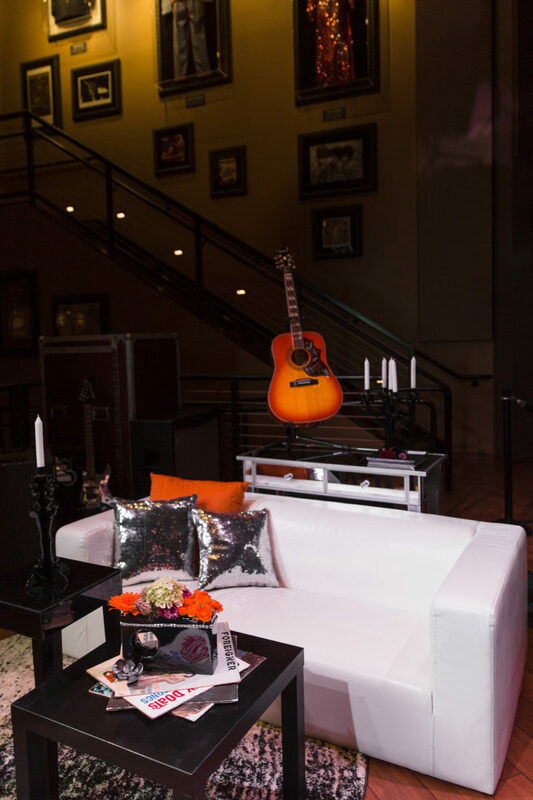 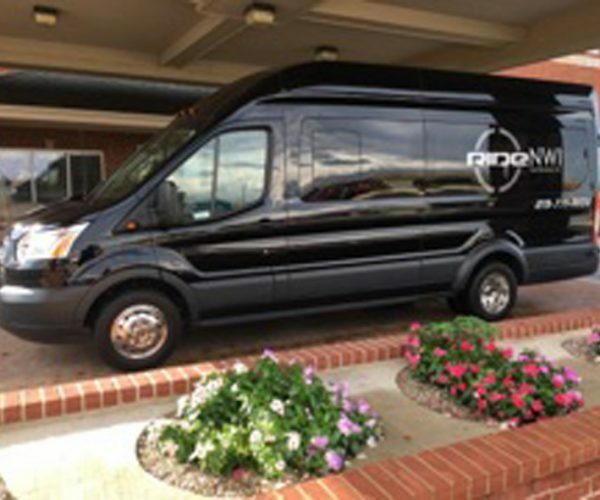 You don’t need much to spruce up the Hard Rock Cafe with their guitars and other rock ‘n’ roll memorabilia; with a few extra touches by Merry Me Events this rock’n restaurant was ready to roll. 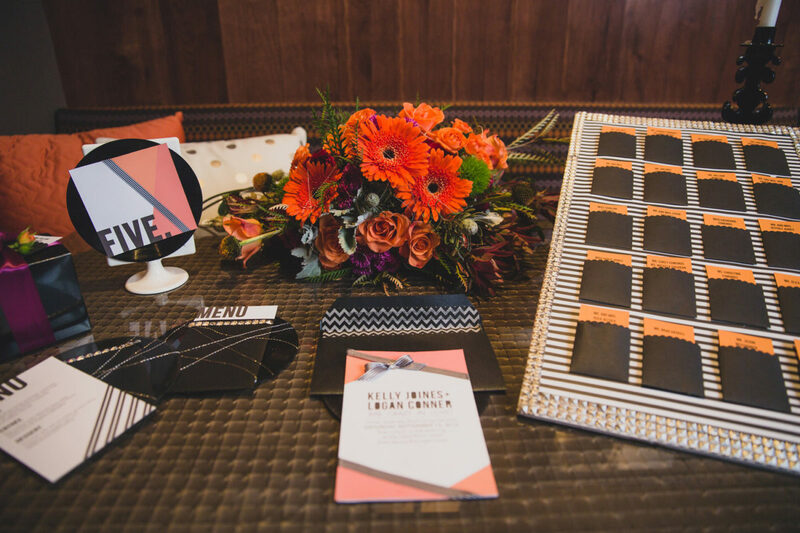 We are crazy in love with the stationery created by Paper Thread. 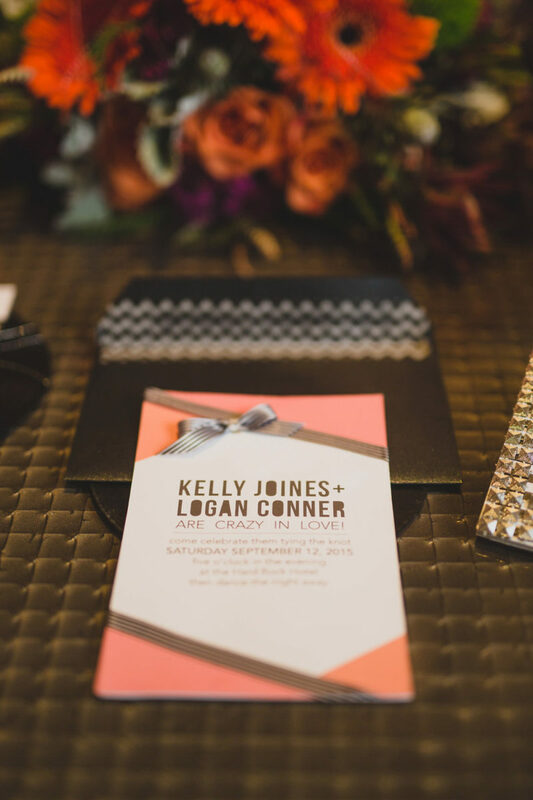 Using a modern twist on a classic invitation these invitations have a rock ‘n’ roll feel with an elegant touch, perfect for a Hard Rock bride. 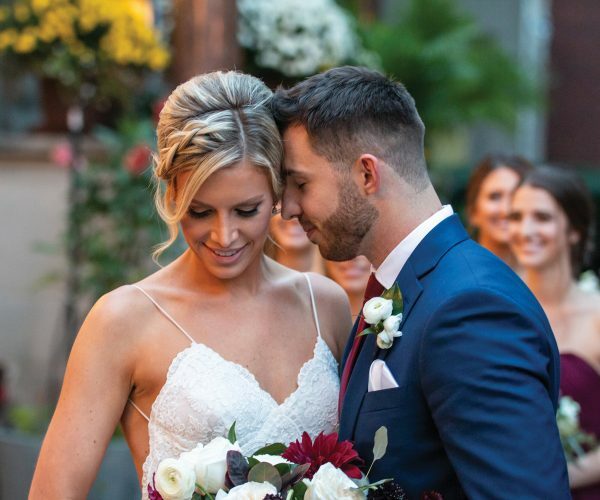 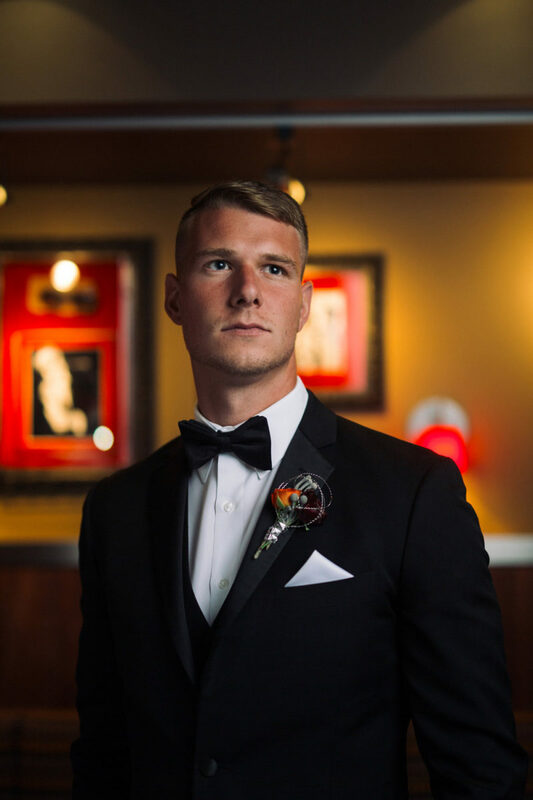 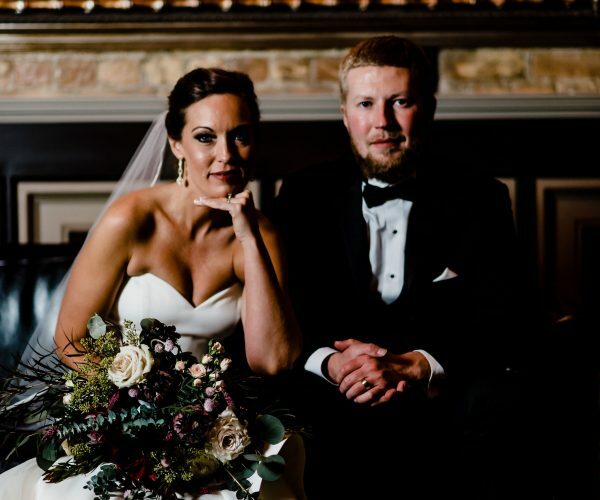 Louie’s Tux Shop pulled the groom’s look together with a classic black tuxedo (and may we add, you can never go wrong with a classic black tuxedo). 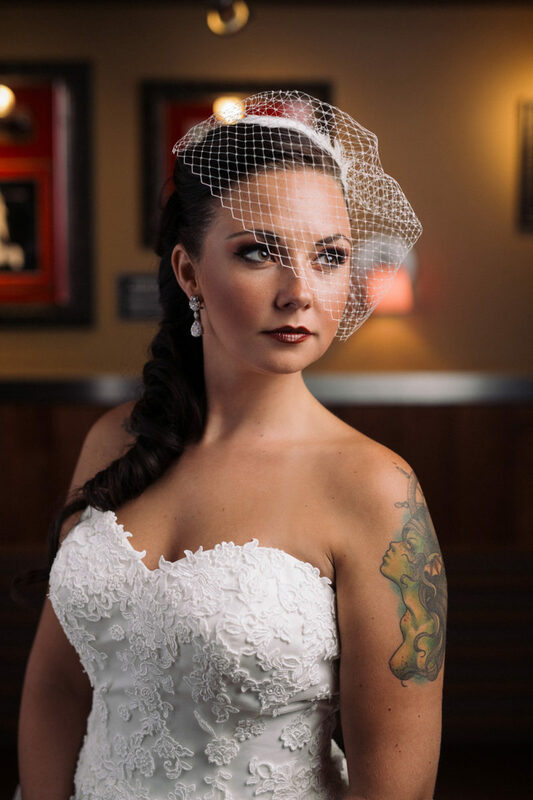 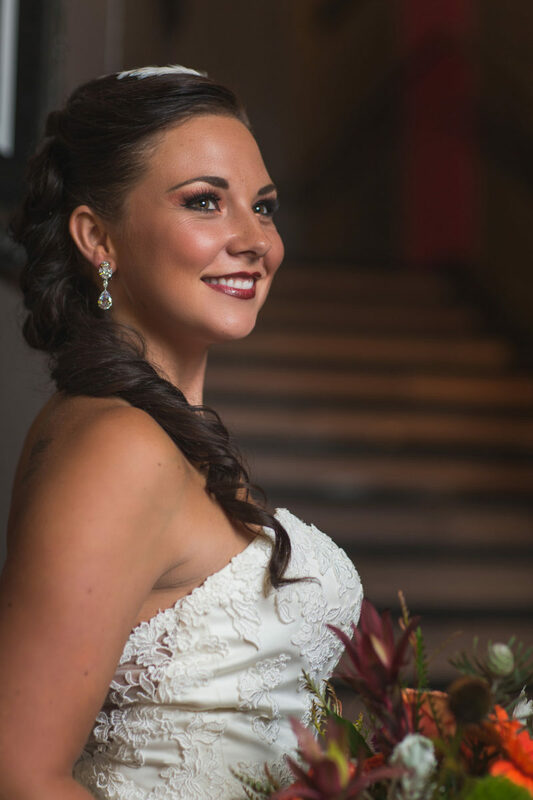 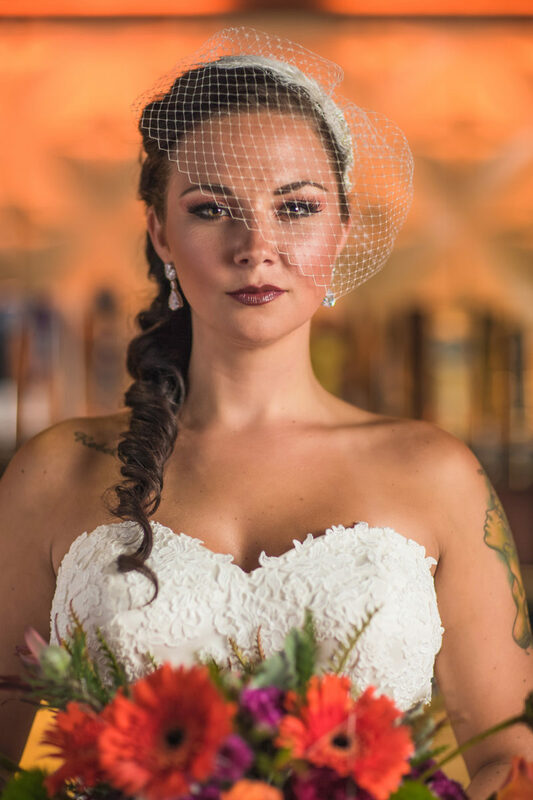 Aiming for an edgy yet sophisticated look, Beauty & Bliss styled our rock ‘n’ roll bride with a glamorous braid, smokey eye, and the perfect shade of Merlot lipstick. 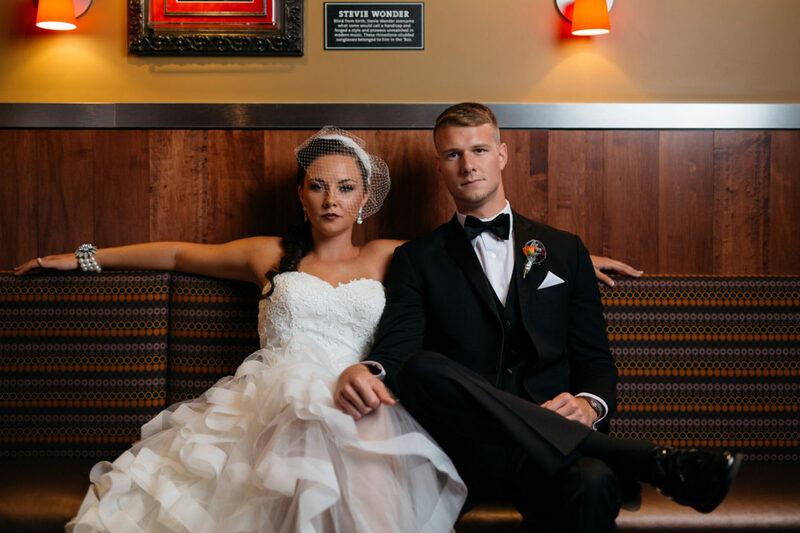 Hard Rock Cafe created a table set for a king for this inspired shoot. 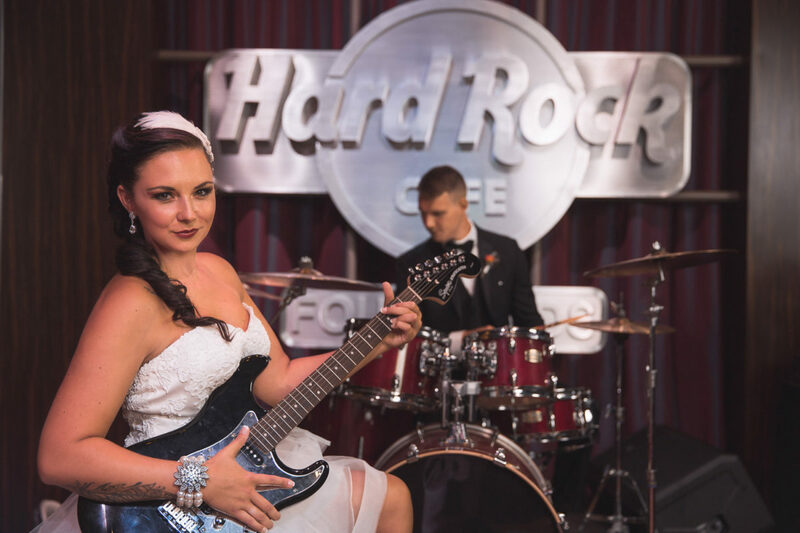 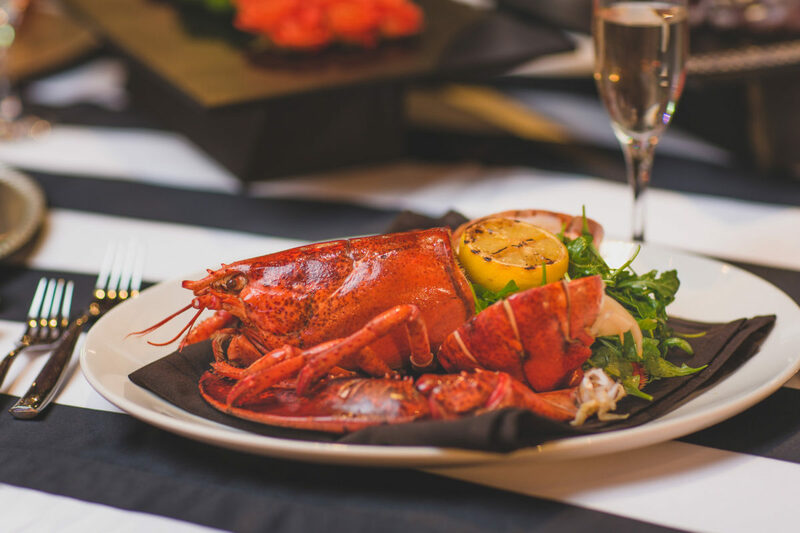 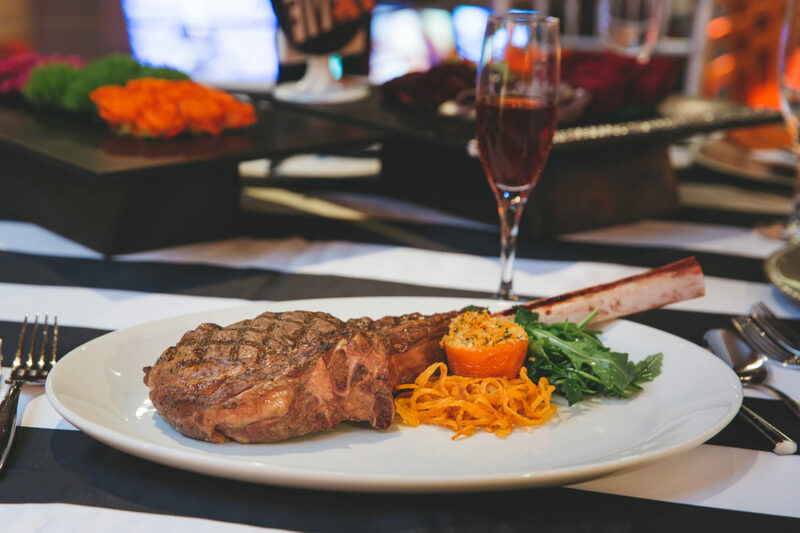 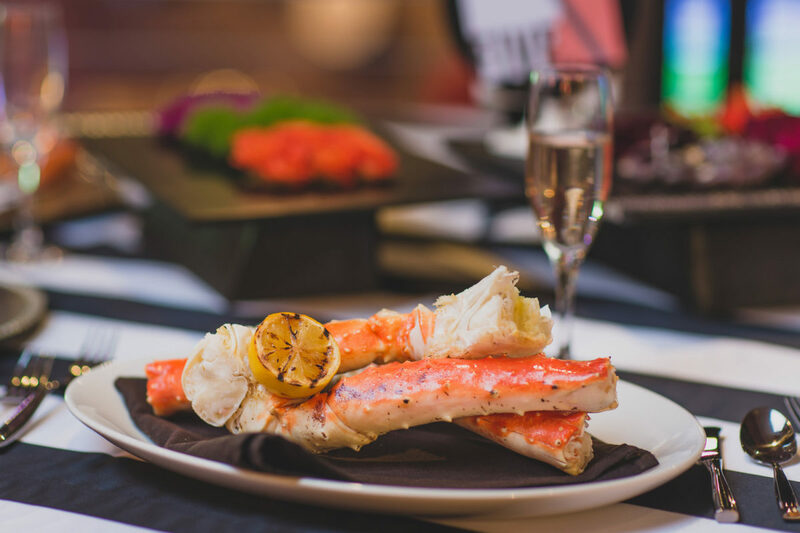 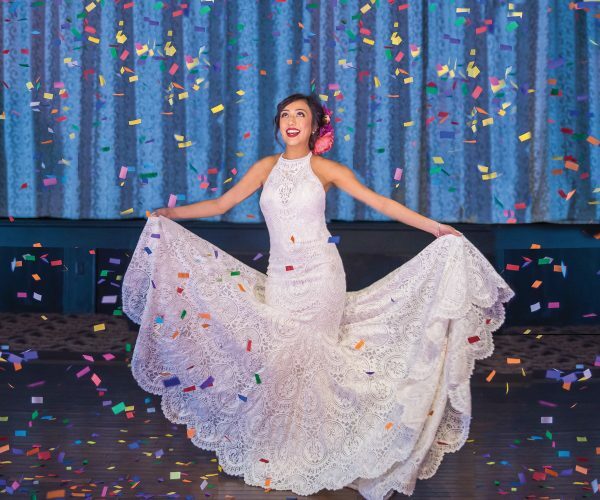 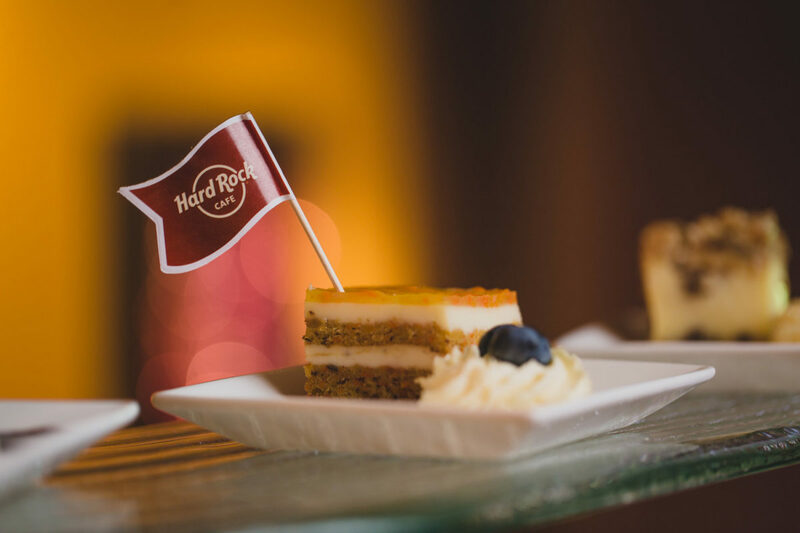 The Hard Rock Cafe specializes in creating a unique menu for foodies everywhere, perfect for your big day. 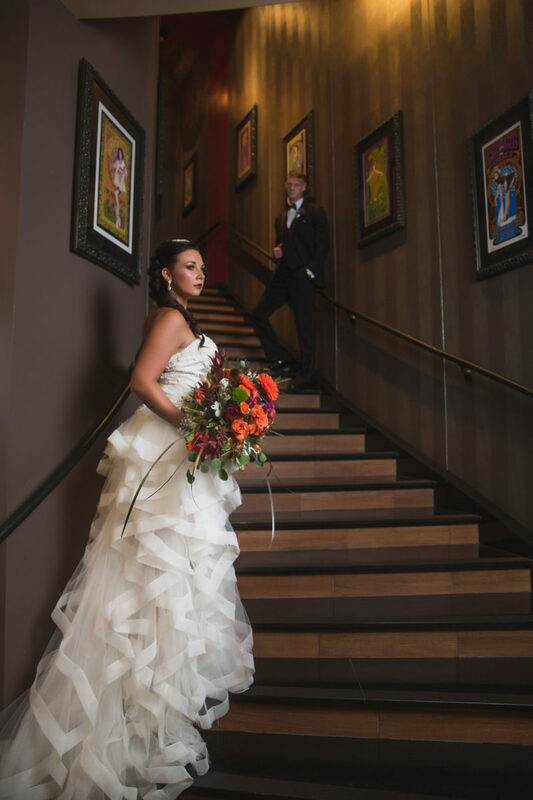 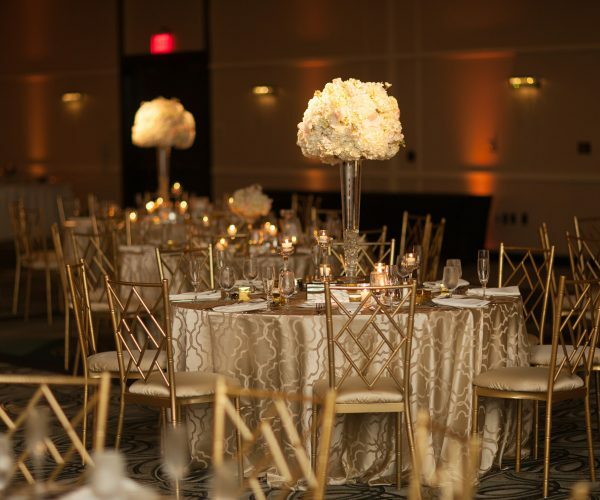 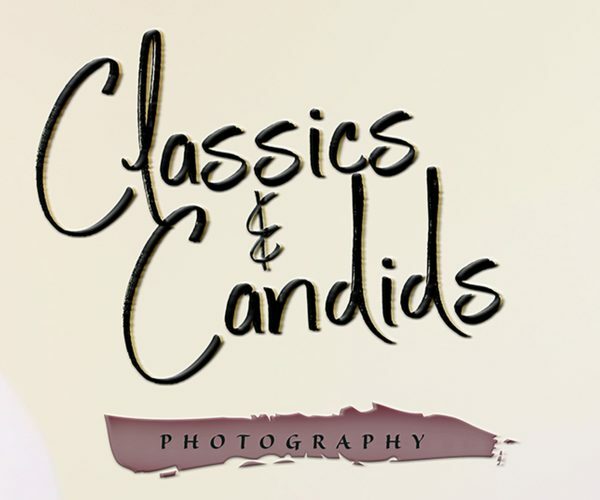 Grab your friends and family and celebrate your wedding in a space that gets your creative juices flowing. 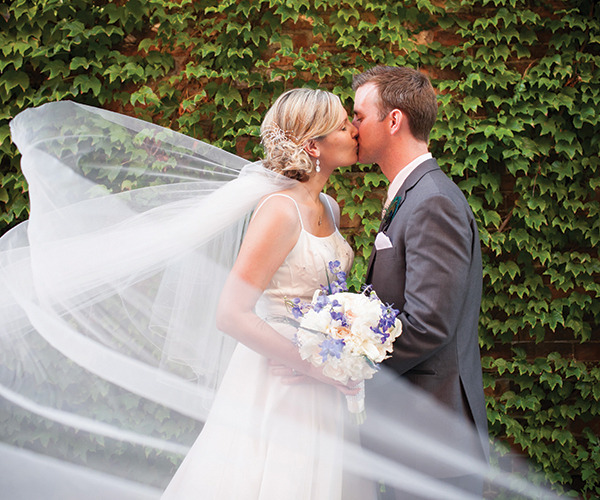 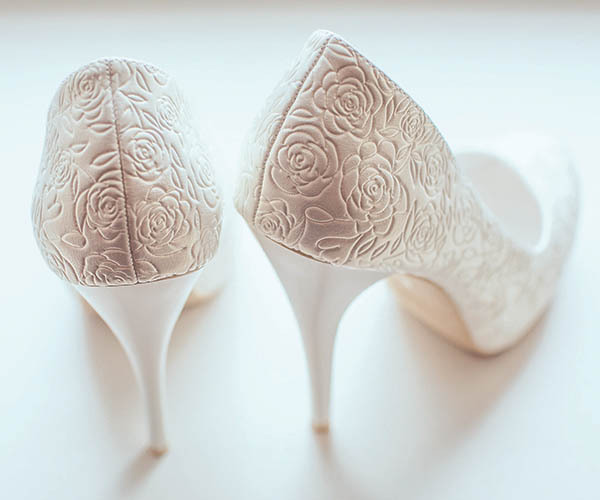 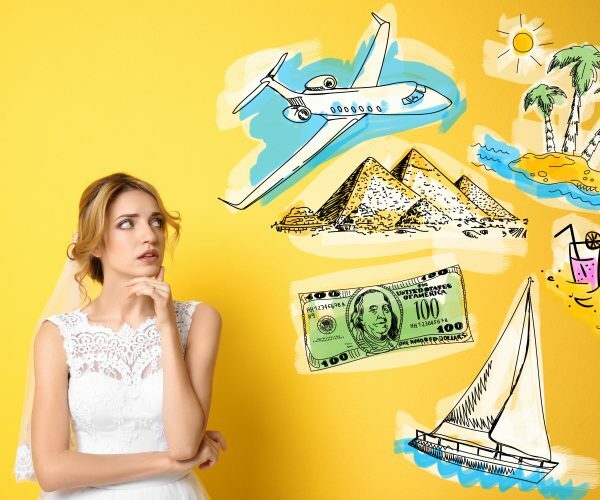 Your wedding day is about celebrating what makes you and your spouse tick. 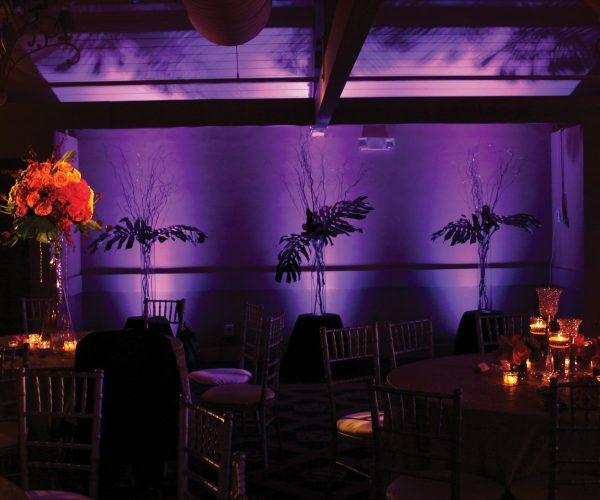 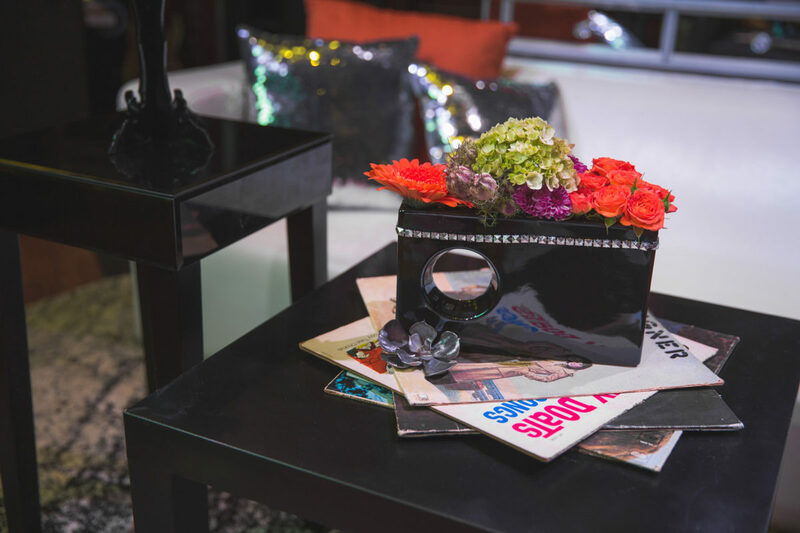 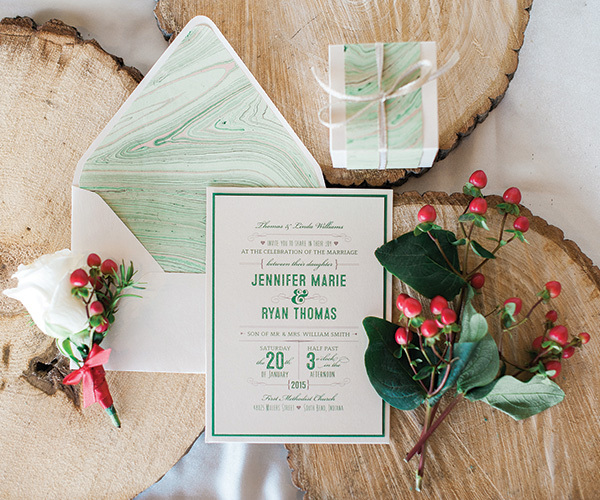 Whether it’s a traditional, modern, elegant, or funky vibe make your wedding showcase your love. 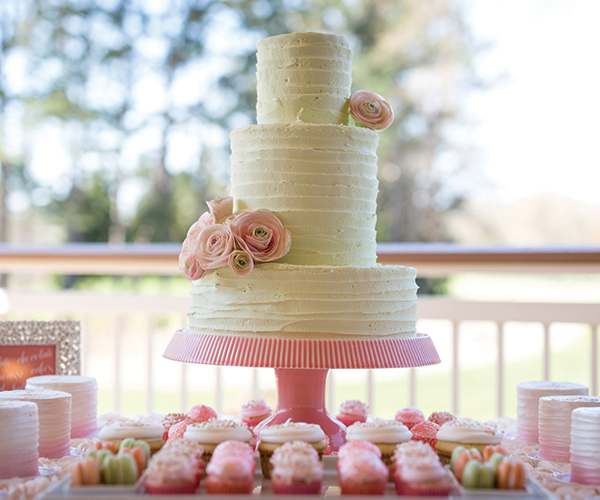 Many brides choose to offer both a cake and dessert spread at their receptions. 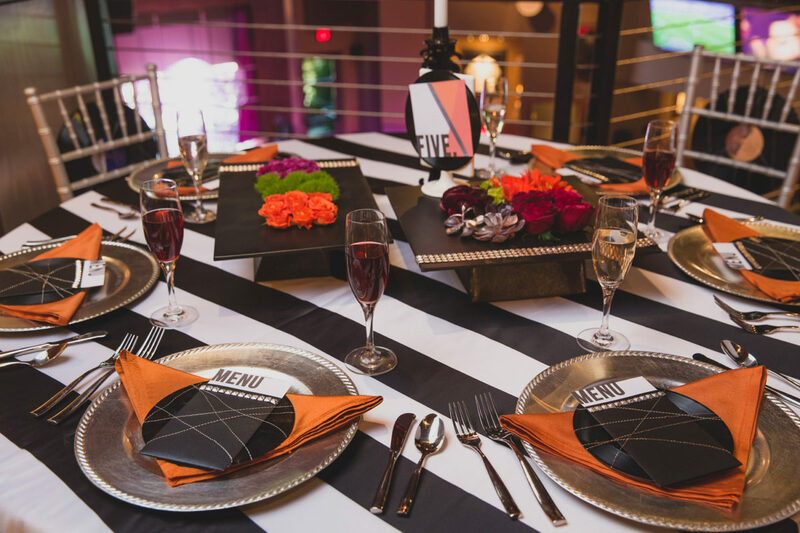 It gives your guests more options and allows for some creativity and individuality for your big day! 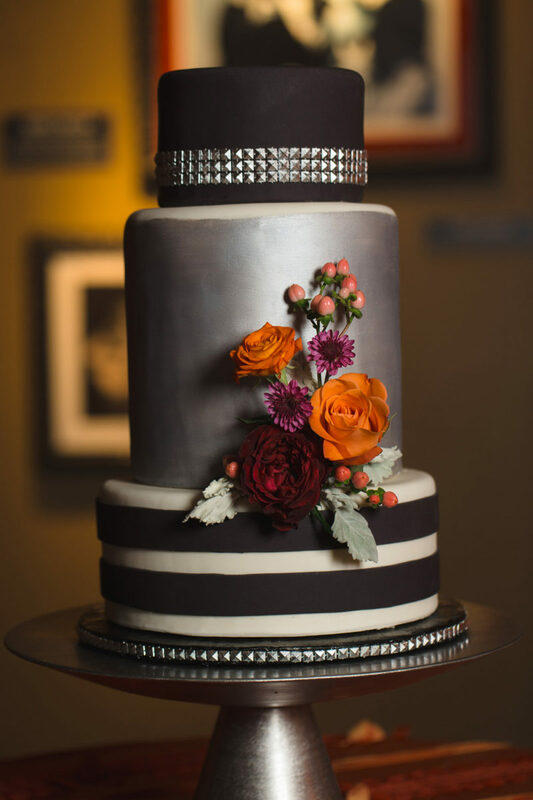 Sweet Elegance created this unique and beautiful 3-tiered cake that blended seamlessly with our theme. 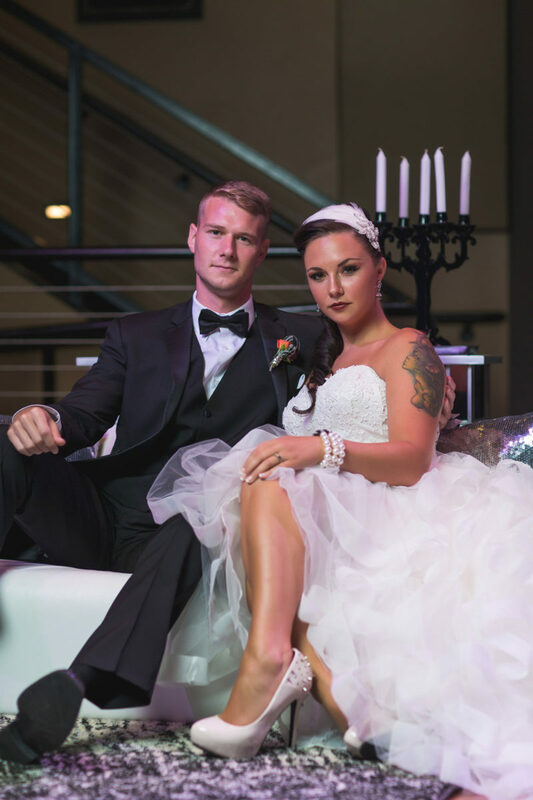 It was simple, yet edgy. 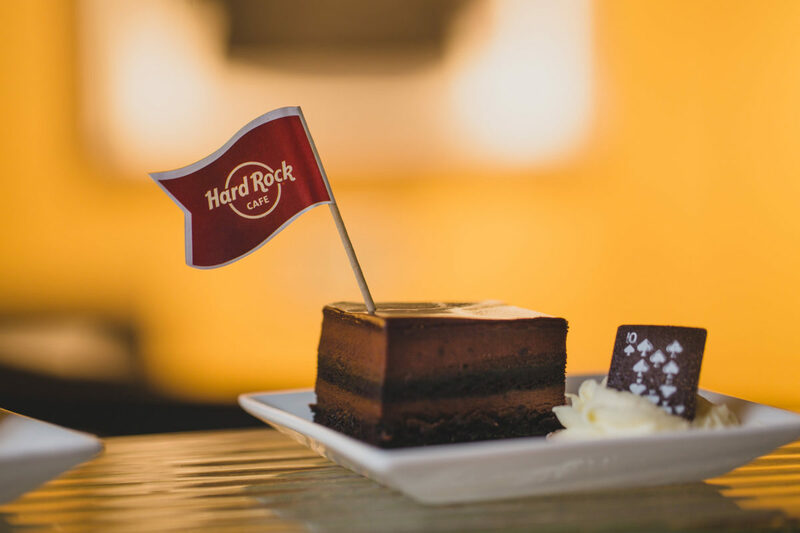 Perfect for our day at Hard Rock!